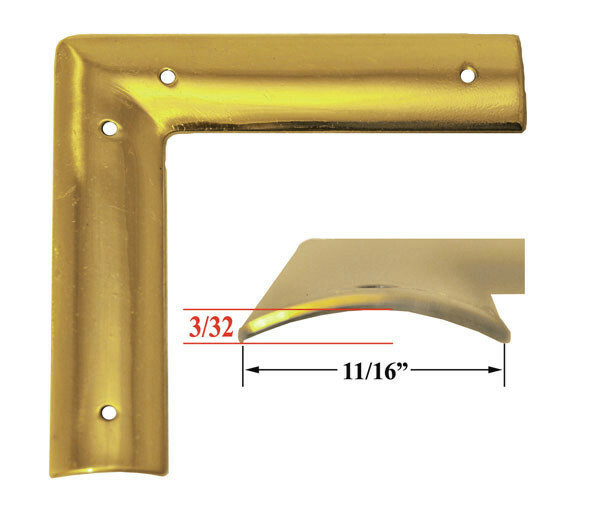 Curved surface, no frills makes this a classic brass trunk trim. 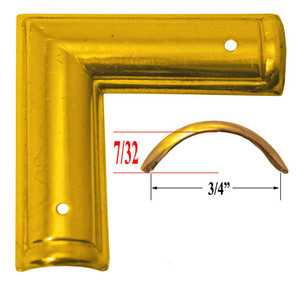 Solid brass contoured profile corner for picture frames, furniture, and other rounded moldings. Can be used on any rounded shape which would be equal to a dowel with a diameter of 1.25" to 1 3/8". 11/16" width, each arm 3" long. 3/32" thickness. 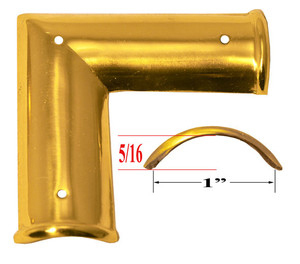 Lacquered for protection, comes with brass fixing nails.